Upon the agreed design and installation date, one of our experienced installers will arrive on location to start the installation process. With many years’ experience in bathroom and kitchen installation, our installers have the know-how to fit and assemble your room to the desired requirements. 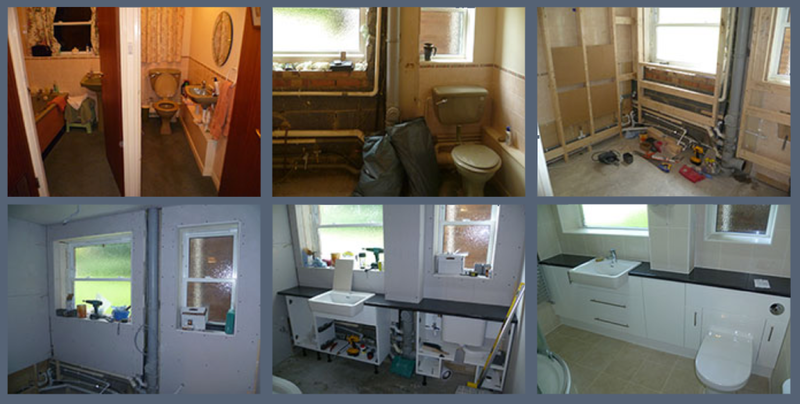 Included in this experience is wall and floor tiling, installation of sanitary ware and furniture installation. Should further work be required outside of our expertise such as electrical work or plastering, we do work closely with a selection of professional bodies that we can bring in to save you time and hassle. All rubbish is cleared from site and our installers are trained to work in a clean environment, leaving no mess or hassle for the customer at the end of the day. Our fully equipped bathrooms can on average take two weeks. Looking for inspiration or want expert advice?